Do you hear that noise? It’s the sound of the warm summer sun breaking over the horizon. The summer flowers swaying in the gentle breeze. The summer birds chirping their happiness. It can only mean one thing…it’s summer vacation time. Time to unwrap yourself from a cocoon of clothes you wore all winter. To change your hot chocolate to lemonade bouncing around in an ice filled glass. To decompress from a too cold winter. There is no place to do it better than in the Traverse City Michigan region. It is an area of beaches, water activities, shopping, golf courses, sand dunes, wineries, museums, casinos and fabulous restaurants. 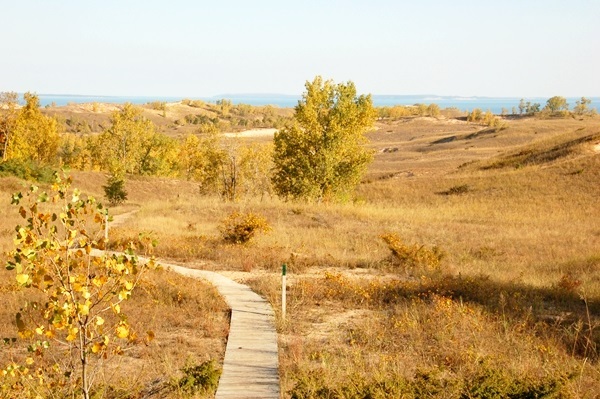 The Traverse City area is nestled between Grand Traverse Bay and Lake Michigan. 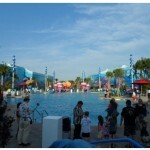 It provides numerous water activities and amazing sunsets. 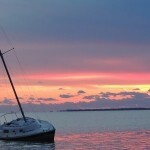 You can boat, jet ski, cruise on a tall ship, or just lay back on your little piece of heaven and take it all in. 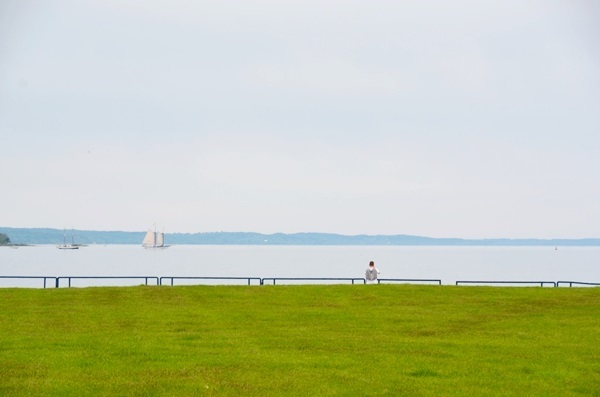 If your idyllic summer vacation is to shop, Traverse City is the spot for you. 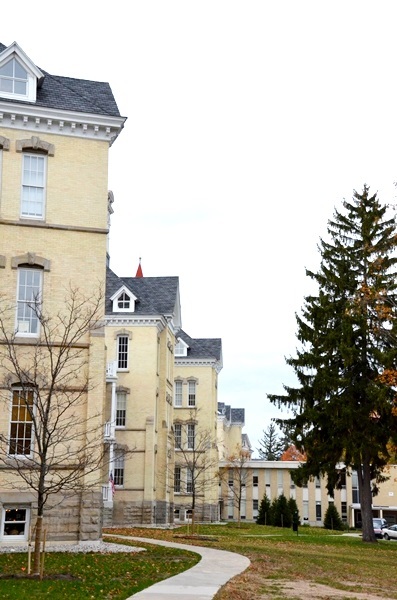 Besides the downtown area which has a multitude of stores, they have taken the former mental hospital and have transformed it into a shopping, eating and relaxing mecca, called The Village at Grand Traverse Commons. Golf courses abound in the Traverse City area. We just happened upon one, Lochenheath. It is a private golf club with limited public times. All you have to do is call to see if there is a tee time available. What we saw of the golf course, it looks amazing both for the views and the challenge. It is an award winning Scottish link course designed by Florida architect Steve Smyers. 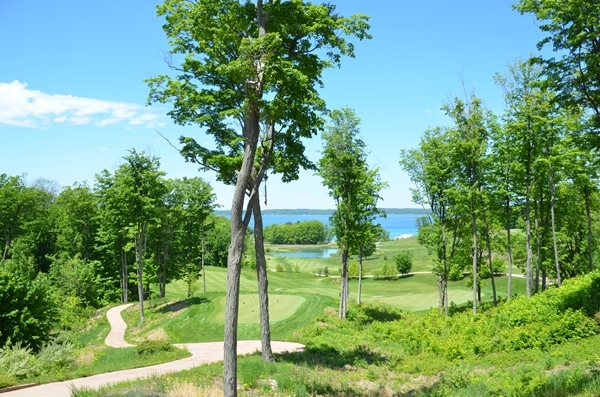 As for the views, it sits on a bluff overlooking Grand Traverse Bay. On the winding path into the club house we came upon a couple of buildings designed with a Scottish influence. Even if you are not a golfer a visit to this golf course is well worth your time. The restaurant in the club house is to die for, both the views and the food. In fact, our meal here was one of the best dinners we had in Traverse City, both for the uniqueness of the menu and the taste of the food. For an appetizers Randy and I shared a Morel Pizza. 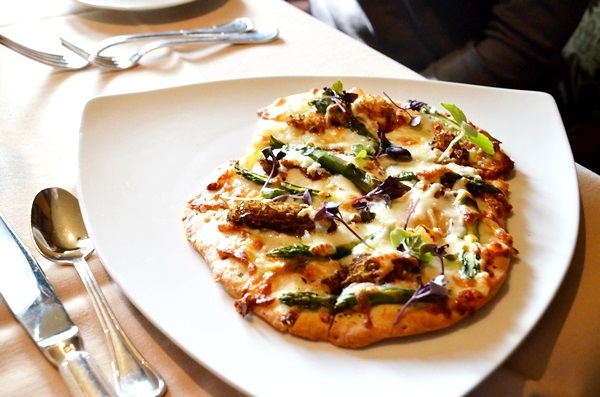 It was prepared on flatbread, had Michigan blonde morels, mozzarella, asparagus & truffle salt. 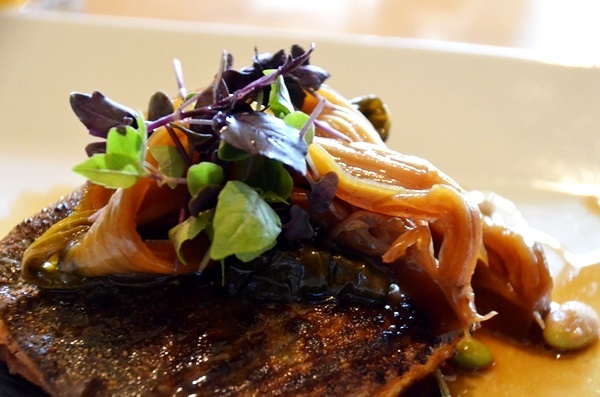 For our entrees Randy had Arctic Char layered on sesame soy braised bok choy. It included rhubarb, edamame, ginger & lime. Mine was the Lemon Crusted Whitefish. It was lemon panko crusted. It also had parmesan whipped potatoes, peeled asparagus and lemon beurre blanc. The fish was light and flaky and the lemon provided just the right amount of tang. Desert was Heath bar ice cream made especially for Lochenheath by the local dairy, Moomers. We were thrilled. They have amazing ice cream. The wait staff was friendly and attentive without being overbearing. While it was obvious that many of the diners were regulars (and probably members) they never made us feel out of place. On the contrary, they made us feel extremely welcome. 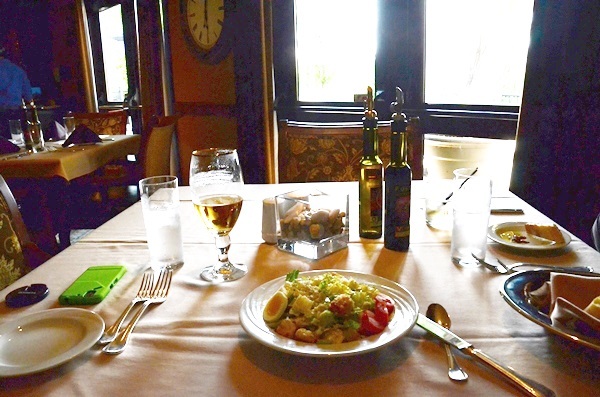 A great place to have dinner if you just want to have fun or if you are looking for a romantic meal. 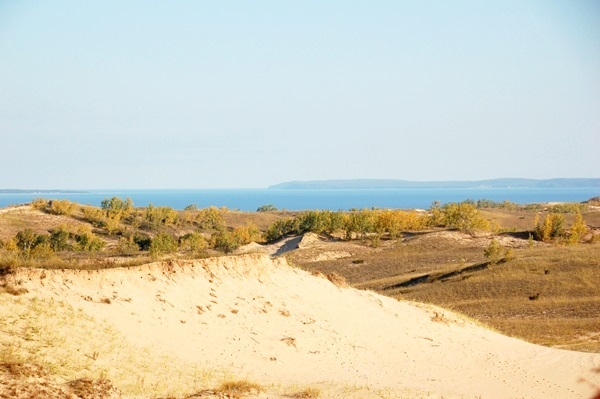 Sand dunes can be found many places along lakes, but none are as more beautiful than Sleeping Bear Dunes. In fact, in 2011 it was named the “Most Beautiful Place in America” by Good Morning America. 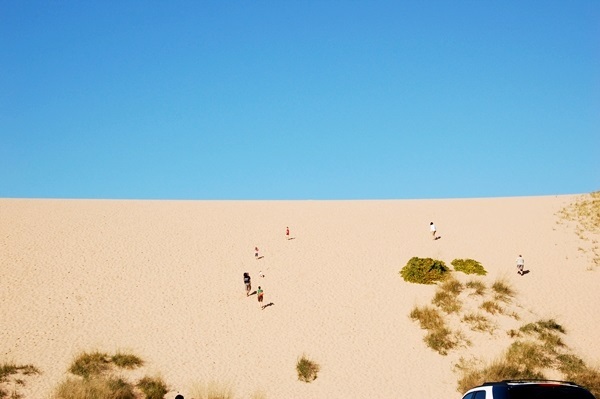 There are two ways to see the dunes. One is to walk them. I remember taking our girls here when they were young and walking the dunes. It was a strenuous hike but one of their all time favorite memories. The other way is to either drive or bike the trail. We chose this time to drive. They have numerous pullouts with amazing views of Lake Michigan. What I find amazing is that the dunes are constantly changing. A trip there this year could look a lot different a few years down the road. It is always new and awe inspiring. 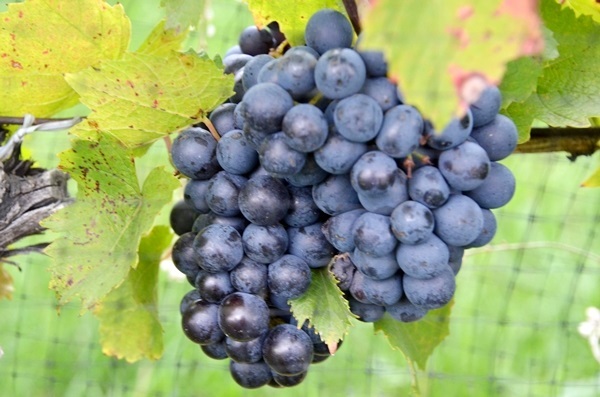 The Traverse City area has the perfect conditions to grow grapes. 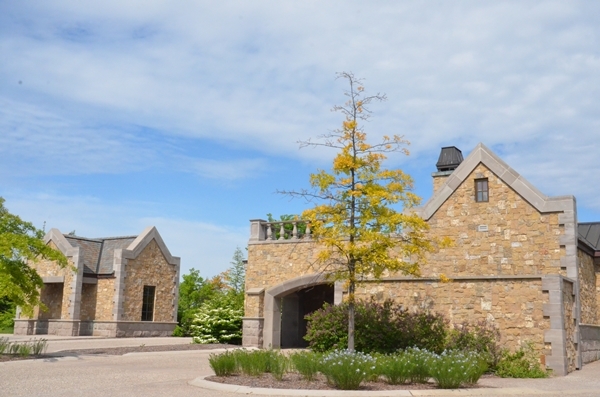 Leelanau and Old Mission Peninsulas are home to award winning wines. 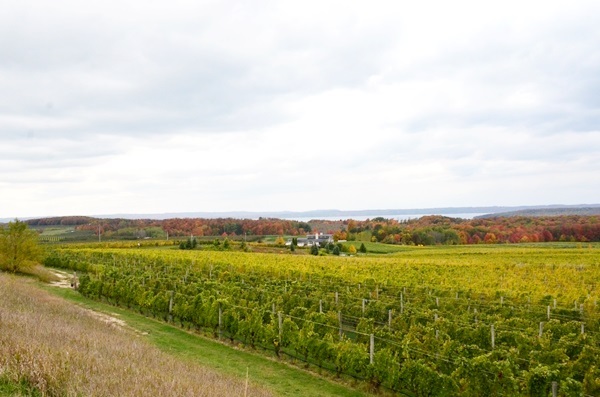 You can drive along these peninsulas and be rewarded by scenery of rolling hills, acres of grape vines, and views of Grand Traverse Bay and Lake Michigan. Do a wine tour or just stop in at one of the wineries and have a sample. 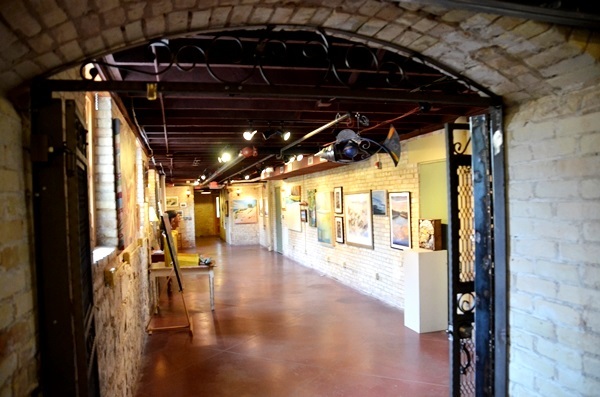 Touring museums is also an option for the Traverse City area. 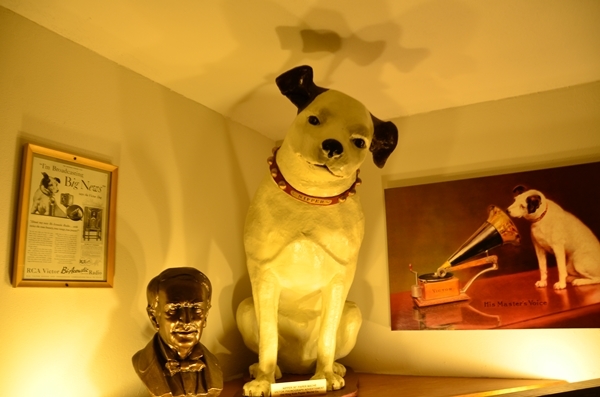 In fact, we just happened upon The Music House and decided to take their two hour tour. 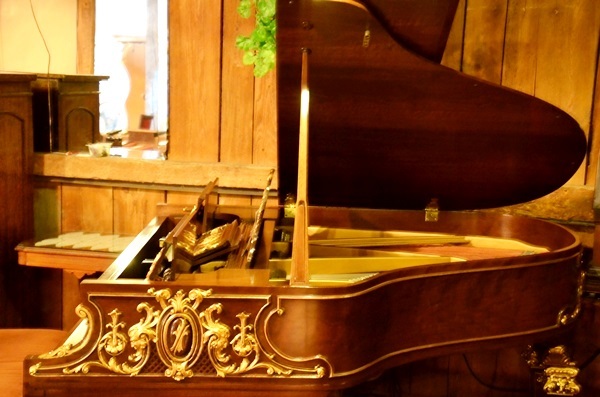 It is the place for music lovers, history buffs, or antique lovers. 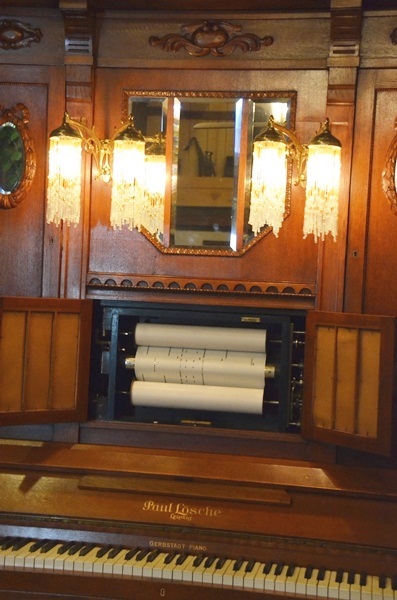 They have fully restored musical instruments from as far back as 1870 up to the 1930’s. 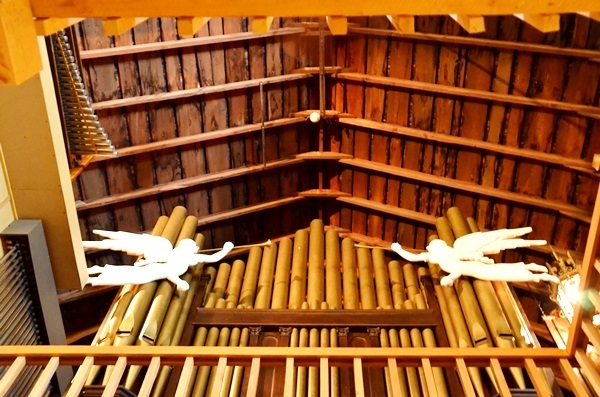 Many of the instruments have been restored to the point where they can be played again. 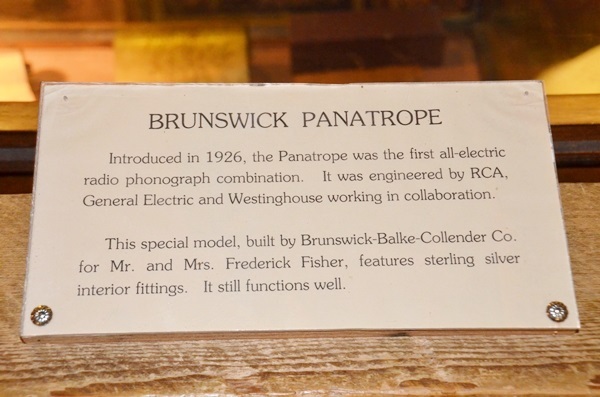 It was amazing to hear the player pianos, organs and nickelodeons. If casinos are your thing there are two in the Traverse City area. 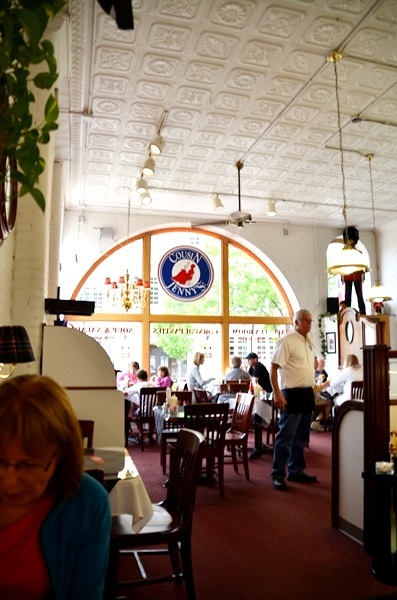 Restaurants abound in Traverse City and we came upon one for lunch that we could not have been more pleased with – Cousin Jenny’s. 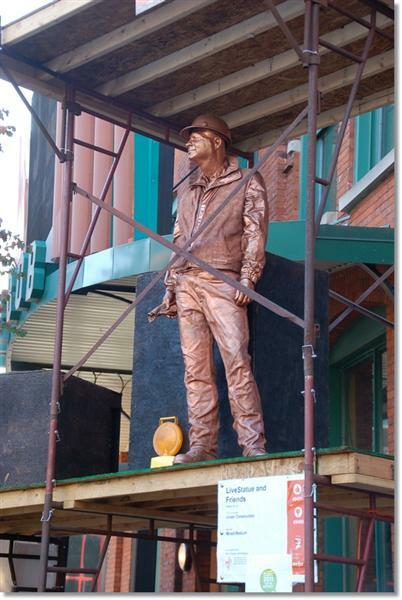 Many years ago Randy worked for the DNR and would come home raving about pasties. 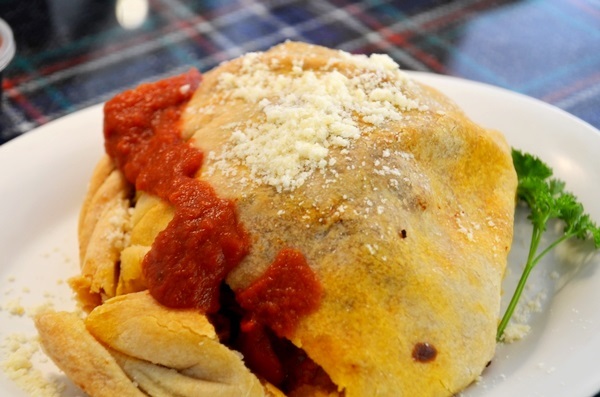 For those of you who do not know pasties are vegetables, meat, and sauce wrapped inside a pastry crust. This is what Cousin Jenny serves. I had the vegetable. 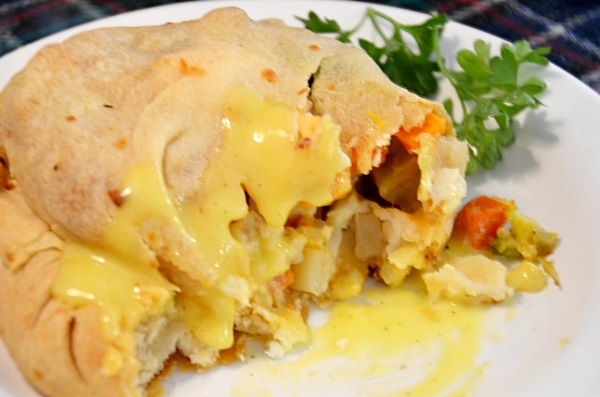 The crust was flaky and light while the vegetables were flavorful. Randy had an unconventional Italian pastie. It was spicy and filling. Just the way he liked it. If you are in Traverse City and looking for someplace different to eat, I would highly recommend Cousin Jenny’s. If you have heard Tim Allen’s “Pure Michigan” ads, the Traverse City area is definitely the epitome of “Pure Michigan”. The place to get away from it all and recapture the feelings of relaxation and stress free life. Really pretty area! Looks like a great place to vacation! I have heard such good things about travelling to Traverse City. 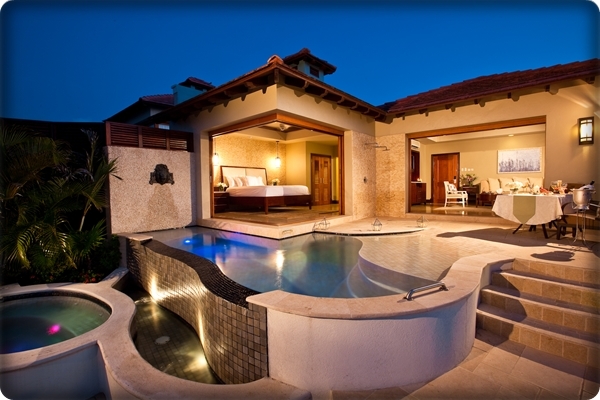 After reading your informative reviews and seeing these beautiful pictures, I really want to go! 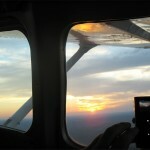 Thanks for sharing the information and photos. I’ve heard Michigan is just beautiful in the summertime and from your pictures it looks to be true, for some reason everytime i think of Michigan I just think snow or Detroit, I forget the great lakes and their beaches. 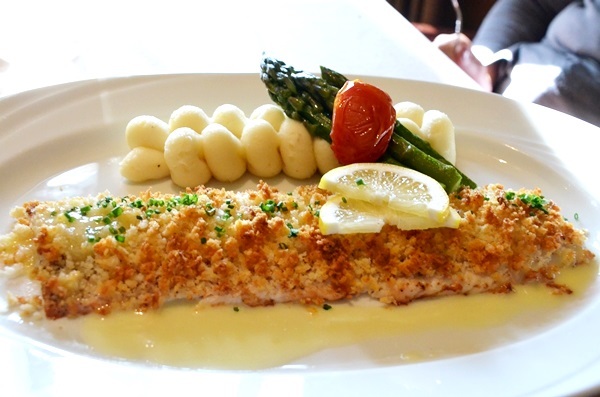 the Lemon Crusted Whitefish looks amazing! I was amazed the first time I went to one of the great lakes and saw the beaches. You do not expect to find beaches so far inland. I have never been to Michigan. This looks lovely. Beautiful! The food looks mouthwatering. We are always on the lookout for new places to spend a long weekend, but I have rarely seen much about Michigan. I’d love to visit. What a great location to visit! I’d love to go and see the sights! Living in Michigan, we love to visit Traverse city. I’d love fit in a trip before the winter gets here. I’ve Never Been To Michigan, Traverse City Is On My List! This place looks and sounds amazing. A need place added to the list of places I want to visit! Thanks for the post! Just WOW! I never realized what Michigan has to offer. Now it’s on my bucket list of places to visit. This is a very beautiful place! It makes me want to go visit there now! One of my fave places in all of Michigan. Traverse City sounds like the perfect spot to vacation. The food looks wonderful. I’ll have to ask my son-in-law if he has ever heard of it. He’s from Michigan. Traverse City is gorgeous and a fun place to visit. I love the food they have there, and the sites are wonderful. I sure would love to visit this place and the sand dunes are awesome!! I live in Michigan and love going to Traverse City, it is a beautiful place! The sand dunes are beautiful. Traverse City looks like an amazing place to visit! man this place looks beautiful. it has so many things go do and the food looks amazing as well. i will definitely have to go here one day with the entire family and see it for myself. That is beautiful and I want the Morel Pizza. I’m a sucker for good food and lovely scenery. Traverse city is one of places to go in the summer, we live in Michigan so we love boating and jet skiing here. The food looks amazing! The museums are also a hot spot for us with the kids. Great city to visit with a ton to do.